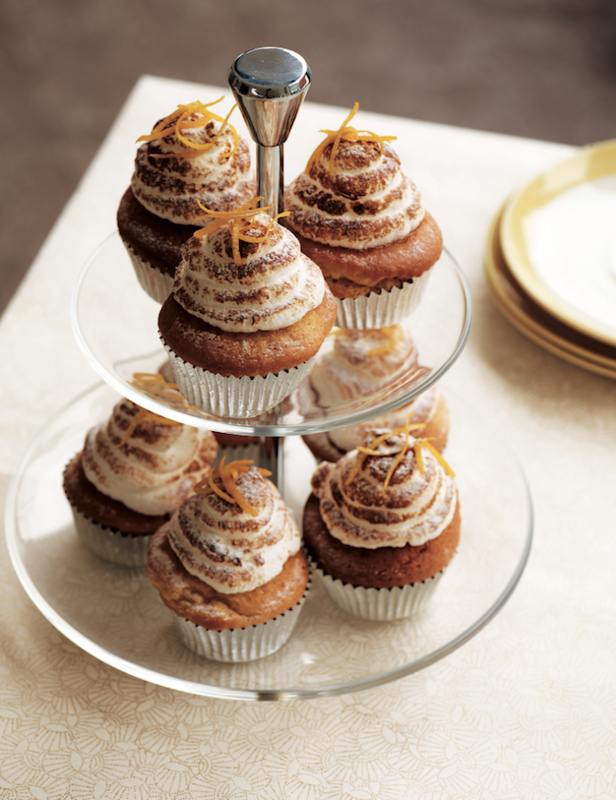 These cupcakes will be sure to spread a little happiness with their oozy curd centre and soft meringue topping. Preheat the oven to 180¨C (fan 160¨C)/350®¨F/gas mark 4. Line a 12-cup muffin tin with cupcake papers. For the cupcakes, cream the butter, sugar and vanilla seeds together in a large mixing bowl, using an electric hand whisk, until pale, fluffy and well combined. Spoon the cupcake batter into the cupcake papers. Add 1 tsp of lemon curd to the top of each cupcake. Bake the cupcakes in the preheated oven for 15-20 minutes, or until they are pale golden-brown and spring back when pressed lightly in the centre. Spoon the meringue into a piping bag with a small plain tube and pipe some in a spiral on top of each cupcake. Place the cupcakes under the hot grill 2 minutes to colour (or you can use a kitchen blowtorch to toast the meringue).